190 pages | 13 B/W Illus. 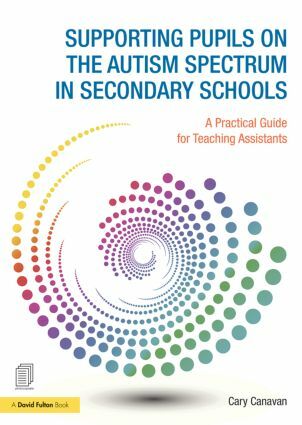 Written to meet the needs of teaching assistants and learning support assistants, this book provides a practical toolkit for supporting students on the autistic spectrum in mainstream secondary schools. The book offers a clear, jargon free explanation of autism spectrum conditions and examines the difficulties arising from these conditions and how they can impact on students’ learning. Addressing issues which arise on a daily basis, it is full of practical advice and strategies for supporting students socially and academically across all areas of the curriculum. Packed with photocopiable resources that can be adapted to suit individual students’ needs, this book is essential reading for teaching assistants that want to help their students’ on the autism spectrum to reach their full potential. Cary Canavan is a Consultant in Autism specializing in Asperger Syndrome. She offers training, advice and support for those teaching and employing young people with AS.